March 2010 | MMA Fighting Events Videos Techniques UFC Fight Picks and News. If you're a fan of KO's, then this highlight put together by The Mr MMA Guy at youtube will surely entertain. Chingasos in abundance from Pride FC, UFC and the IFL. This Saturday March 27th St Pierre will defend his welterweight title against Dan Hardy in UFC 111. While the fight is being hyped as it should, and as fights usually are, MMA fans know that Hardy is a real long shot. I believe his only chance, is that of every fighter who possesses knockout power, a punchers chance. St. Pierre would have to make a big mistake in his stand up and Hardy would have to be at the right place at the right time and ready to capitalize on that mistake. Unfortunately for Hardy, St. Pierre doesn't make many mistakes, standing, or on the ground. This is an easy pick. I'm taking St. Pierre by ground and pound, possibly finishing by elbows in the 3rd round. The other big fight on this card is former heavyweight champ Frank Mir vs. Shane Carwin. While Frank Mir is a former champ and has plenty of experience, he's had trouble with big strong guys with power. Mir was losing the first fight against Brock Lesnar before he took advantage of Brock's inexperience and submitted him with a knee bar. In the second fight against Brock he had the same trouble, but this time Brock had some experience under his belt and was able to finish off Mir. My pick for this fight is Shane Carwin by KO in the second round. Chingasos for sure! Check out the UFC video preview of Pierre vs. Hardy. Nice video! The rear naked choke submission (RNC), or as the Brazilians call it, the monte leon, is one of the best finishing techniques in MMA or any fight for that matter. Check out this free MMA video and see how Fedor Emelianenko uses it to finish off Tim Sylvia in a title fight. Now that's a nice example of how to use the rear naked choke (RNC) submission to finish off an MMA fight. Notice how he sets it up with some brutal chingasos! Hear is a free video of UFC fighter Kenny Florian demonstrating how to accomplish the rear naked choke. There are some nice tips and tricks so pay attention if you have trouble finishing the RNC submission. Get hands on instruction on how to perform the rear naked choke (RNC) so that you can learn the small details that will make a big difference in a fight. Stop by one of the MMA gyms in the Los Angeles area. For those of you that enjoy leg locks, Masaku Imanari is a fighter you need to know. I've seen him complete more leg locks in MMA than any other fighter. Here's a good example of what he likes to do in MMA. Check out his fight against George Gurgel. You might want to forward the video to the beginning of the fight at 1:18. Masakazu Imanari is known as a leg lock specialist, but that's not all he can do. Check out this nice finish in his fight against Robbie Olivier in a title fight at Cage Rage 20. If you're an MMA fan, then the Nick Diaz vs. Takanori Gomi fight in Pride 33 is a must watch. This fight had a little bit of everything, striking, wrestling, ground fighting and to top it off, a nice submission to end the fight. The submission Nick Diaz used is known as the gogoplata. Here is a video showing the submission technique. Is the heel hook that Ryo Chonan slapped on Anderson (The Spider) Silva the most exciting submission in MMA history? If it's not, I would love to see a more exciting one. Chonan going for that and getting it is like a football team down by a touchdown and completing the hail marry pass. What makes this extremely exciting is the fact that heel hooks rarely get pulled off in MMA, let alone after a good beating. Chonan was getting beat, and getting beat bad. The attempt was a last ditch effort and to everyone's surprise he pulled it off. Wow! Just Wow!. Check out the video. The head and arm choke from the mount position (a.k.a arm triangle choke)is one of the best options and submissions to end an MMA fight, grappling match or even a street fight. Here is a free video instructional on how to do the arm triangle choke submission from the top position. Then check out a free video of MMA super star and UFC champ BJ Penn pulling off the arm triangle choke submission and ending an MMA fight against Dwane Ludwig. Here's the free video of the arm triangle submission BJ Penn pulled off against Dwane Ludwig in an MMA fight. Here's a free MMA video of Vitor "Shaolin" Ribeiro vs Joe Hurley. Vitor finishes the fight and gets the submission with the arm triangle technique. Learn the arm triangle and more Mixed Martial Arts techniques in Los Angeles, check out our article on Los Angeles MMA Gyms. The other day I posted a highlight video of 10 awesome knockouts in MMA and while those were definitely awesome KO's, my brother reminded me of the Crocop vs Gonzaga fight. At the time Mirko Crocop was coming over from PRIDE and was considered one of the best heavyweight fighters in the world. He was also known for his great leg kicks and devastating knock outs. Gabriel Gonzaga was an up and comer in the UFC and was facing a real test in this fight. If you haven't seen this fight, it's a must watch! If you've been training in MMA or submission grappling for any length of time, then you've probably heard of the Monson choke. Here is a free video of Jeff Monson showing how to perform the Monson choke submission properly and then I also found a free MMA video of Jeff Monson actually pulling off the Monson choke and winning a fight in MMA. 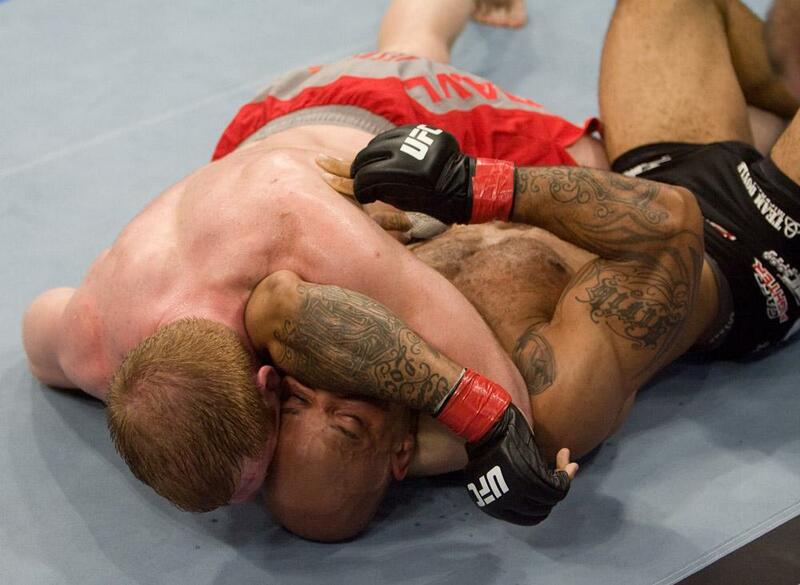 The Monson choke can be a tricky submission. Make sure to get hand on instruction so that you can perform this technique optimally. If you're in the Los Angeles area, stop by one of the many MMA gyms in the area. If you're a fan of submissions, BJJ and or any of the submission wrestling/grappling arts, this is one of the classic videos you must check out. 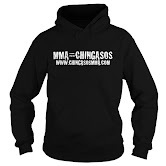 Plenty of submissions to get you pumped and ready to train those armbars and chokes.